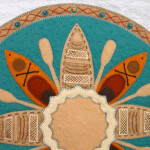 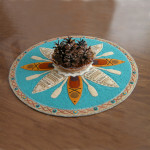 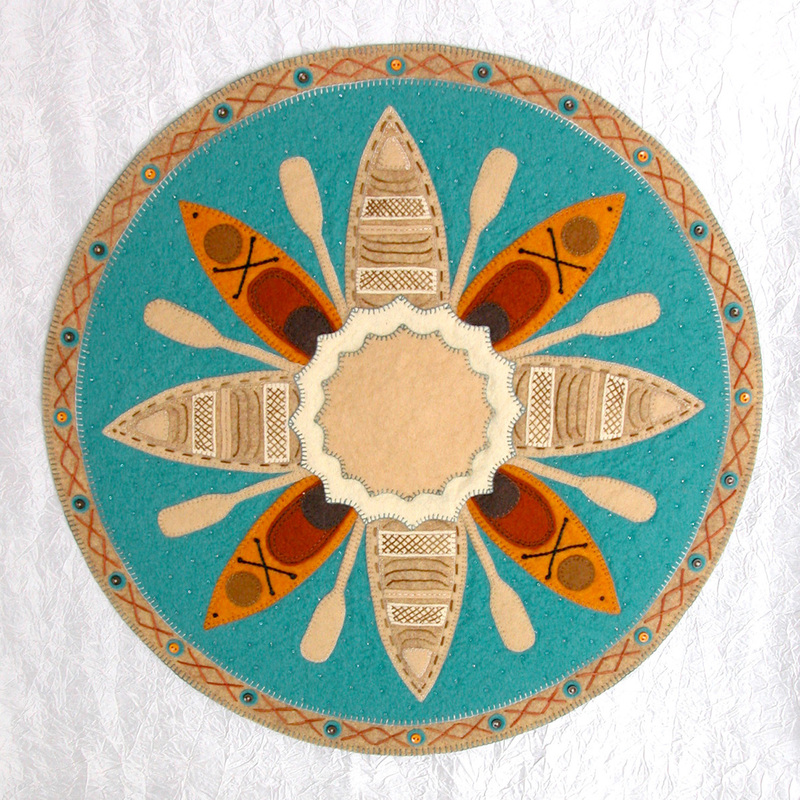 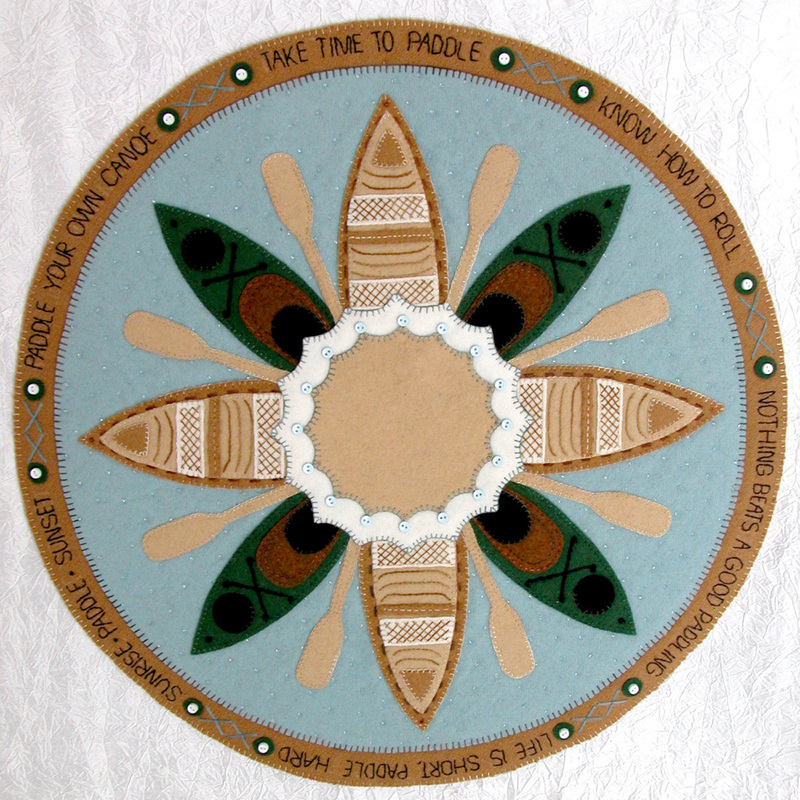 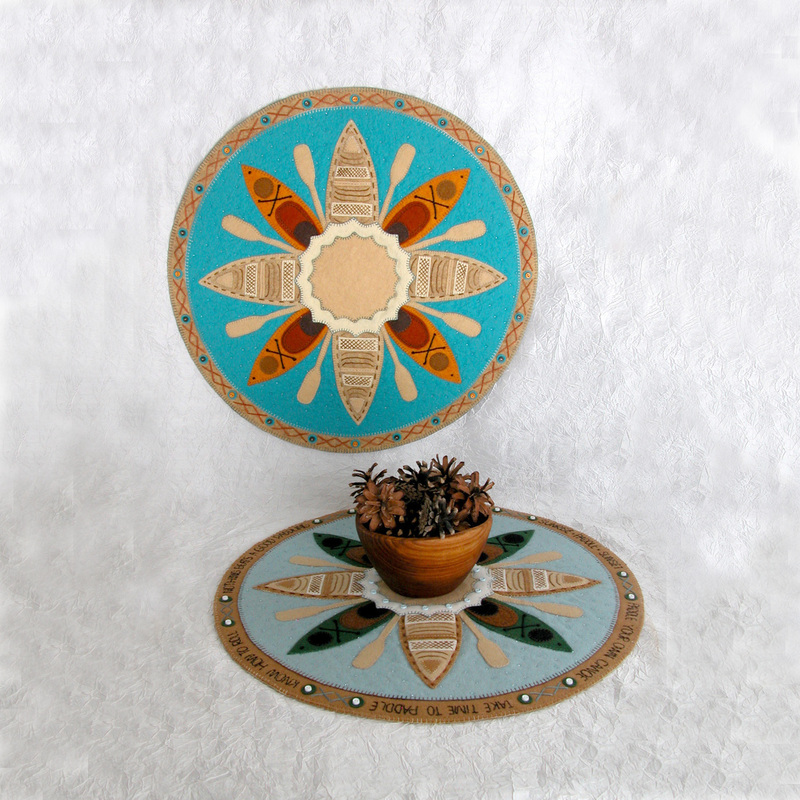 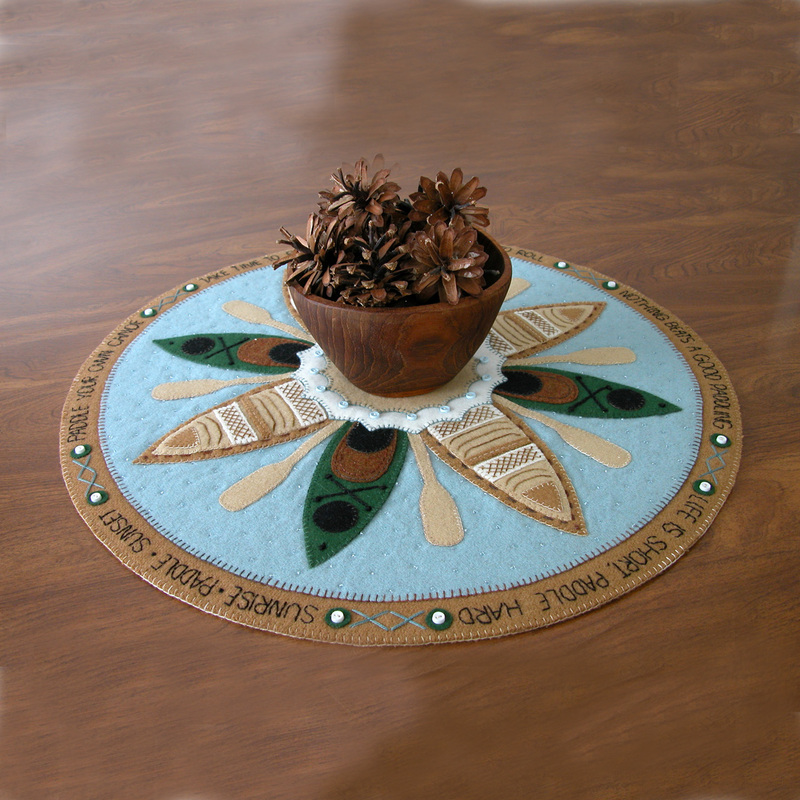 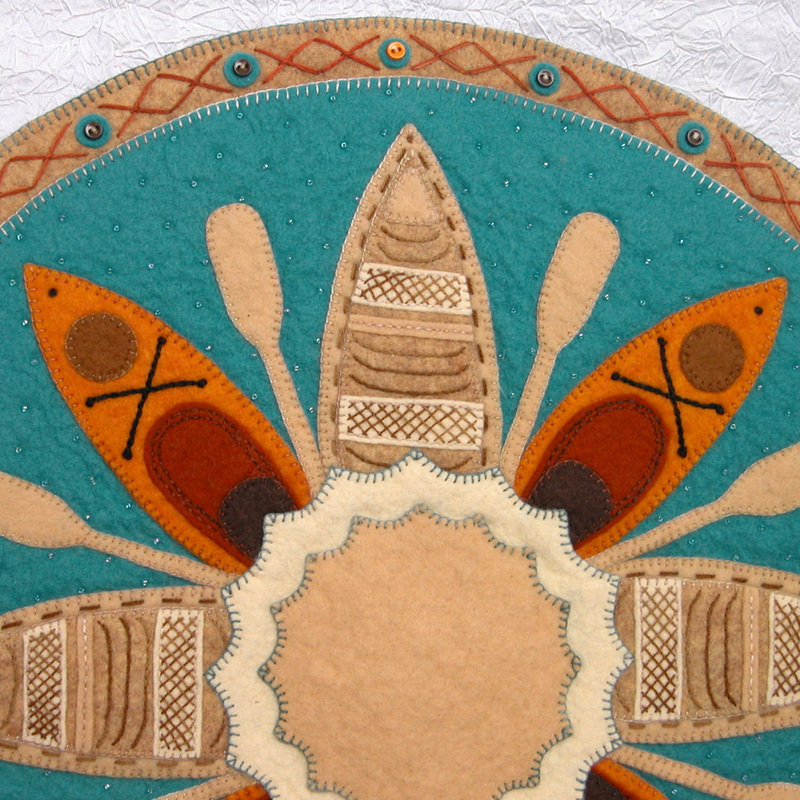 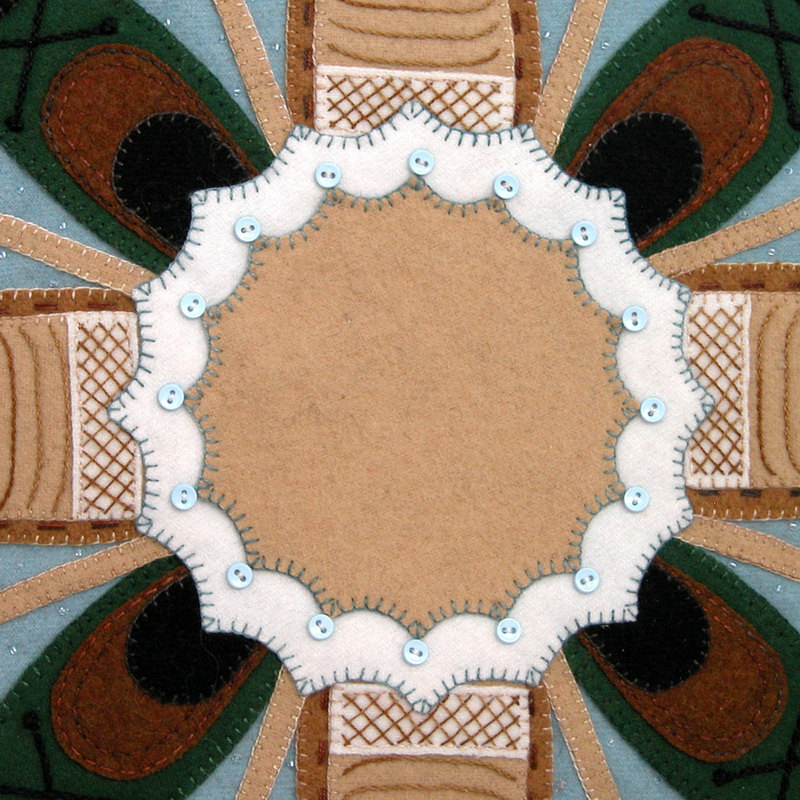 This 18-19″ circular topper will appeal to quilters and stitchers who are also outdoor enthusiasts (or know someone who is!) 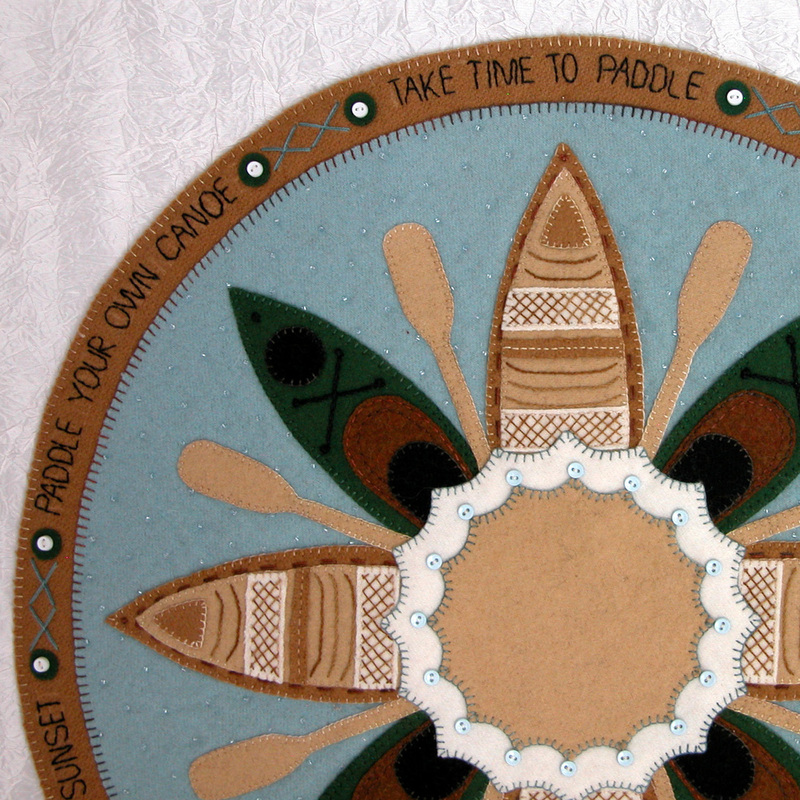 Shimmering lakes, flowing rivers, cool summer days, the northwoods, and paddling adventures all come to mind. The pattern includes two colorways as well as a choice of borders – one of which can be personalized with favorite expressions.